Example of a past year’s press release below. 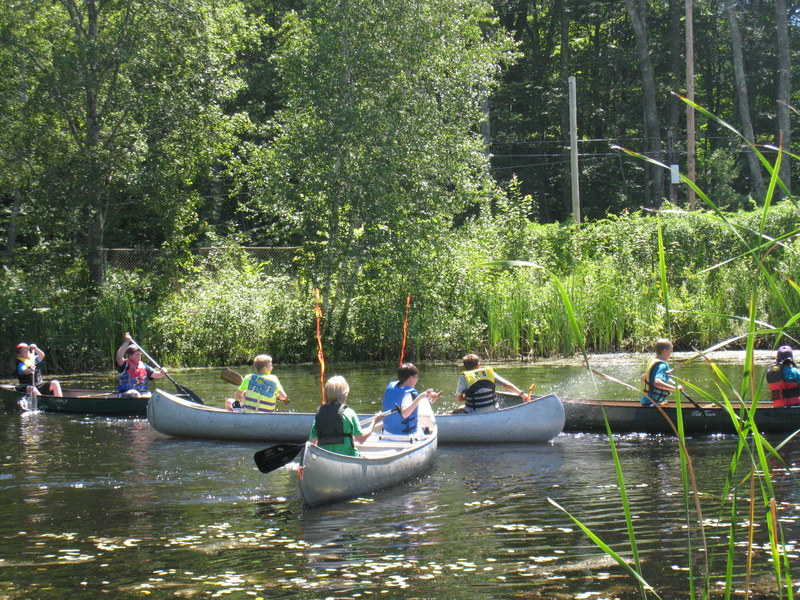 A rousing game of canoe polo on the Canterbury fire pond at the 2013 fair. An annual volunteer-run celebration of small-town community, this year’s Canterbury Fair will once again kickoff with the Woodchuck Classic 5k Road Race and 2K Chipmunk Classic Kids Run. Always the last Saturday in July, this year’s Fair is on July 26th from 9:00 a.m. to 4:00 p.m. in Canterbury Center. The Canterbury Fair will also include traditional Morris dancing, children’s games on the green, a huge What-Not “tag” Sale, a used book sale, an abundance of live music, an antique tractor display including a corn grinder, shingle mill, and Farmall for the kids to climb on, canoe polo on the fire pond, juried crafts, a pie baking contest, and delicious food to satisfy every craving. Many local organizations lend a hand to make the Fair a success, including the Sunset Mountain Fish and Game Club who provides a chicken barbecue. Tickets are available for sale throughout the morning of the Fair. For the third year, a pie-baking contest will be held. Three categories of home-baked pie will be evaluated by local “celebrity judges” who will taste pies in the blueberry, apple, and the “wild berry” (open) category. After the judging, the pies will be sold as desserts at the Chicken Barbecue and at the baked goods table. Music will fill Canterbury Center for most of the day with a number of musicians accompanying the Morris Dancers, as well as local groups the Canterbury Singers, “The Westernaires,” “Home Folks,” and a special multi-faceted children’s performance from “Amy Conley” this year. The Canterbury Historical Society uses Fair Day to open an exhibit in the Elkins Memorial Building, with this year’s installation entitled “Canterbury Through the Years 1900-2000.” Their one-room schoolhouse is also open for the Fair. Parking is available nearby for a $5 suggested donation, with free bus service to the Fair. Canterbury Center is closed to vehicular traffic during Fair Hours. Net proceeds from the Fair benefit the Canterbury Fund, which aids local families in need. Canterbury Country Fair, Copyright 2017. || Web site design by Happy Mac Solutions, LLC.